Broadway & NYC Theater: Curated. The YesBroadway Podcast is designed to be listened to on a 25-30 minute subway ride as we discuss what shows to see, Broadway/NYC theater pop culture news and features, and upcoming shows to get tickets to now. This episode is sponsored by Dramatists Guild Foundation's annual gala on November 12. Sam and special guest co-host Ilana Becker discuss Emma and Max, the Todd Solondz play she's starring in The Flea Theater, as well as The Ferryman on Broadway, Public Theater's Mobile Unit: A Midsummer Night's Dream, @gaintheplay. Also on this episode: an interview with Aasif Mandvi about his show Sakina's Restaurant, The Jungle at St. Ann's, a Michael Friedman concert on election night, and the casting announcement for FOX's RENT Live. (Sponsored by Keen Company's upcoming revival of the cult hit musical Ordinary Days. Starts October 2 and runs through November 17. Tickets: keencompany.org): Sam and Linnae discuss that epic King Kong on Broadway music video, Be More Chill, Head Over Heels, several Off-Broadway (and Off-Off Broadway productions), and the hype for Beetlejuice The Musical, Network starring Bryan Cranston, School Girls at MCC Theater, and St. Ann's upcoming immersive Oklahoma and The Jungle. Pop culture topics include Hamildrops, Lindsay Mendez's Sardi's caricature, and an upcoming Live Musical roundup (Rent and Hair, both in 2019). Check out YesBroadway.com and follow us at @yesbroadway (@yesbway on Twitter) for more information about all of this! Episode 5: Sam and guest co-host Margo Seibert discuss her initiative Racket, Once On This Island, The Band's Visit, Folk Wandering, London's Network starring Bryan Cranston and Everybody's Talking About Jamie, Angels In America on Broadway starring Nathan Lane and Andrew Garfield, The Lucky Ones at Ars Nova, Mean Girls, Cruel Intentions (Off-Broadway), Broadway Sings Rihanna, and Jesus Christ Superstar Live on NBC. The YesBroadway Podcast: Designed to be listened to on a 25-30 minute subway ride, we discuss what shows to see, Broadway/NYC theater pop culture news and features, and upcoming shows to get tickets to now. Episode 4: Sam and guest co-host Ben Rimalower discuss his upcoming show at 54 Below called "54 Sings Rufus" (Wainwright), Sam's Tea Shack, War Paint, Network in London starring Bryan Cranston, Angels in America starring Nathan Lane and Andrew Garfield, the Hamilton app, SpongeBob SquarePants The Musical, and more! The YesBroadway Podcast: Designed to be listened to on a 25-30 minute subway ride, we discuss what shows to see, Broadway/NYC theater pop culture news and features, and upcoming shows to get tickets to now. Sam and playwright James Walsh discuss his new play Jimmy & Carolyn, and A Clockwork Orange, The Constitution, As You Like It in Central Park + Springsteen, The Iceman Cometh with Denzel Washington, the new KPop musical + Steven Universe. YASBroadway! The YesBroadway Podcast: Designed to be listened to on a 25-30 minute subway ride, we discuss what shows to see, Broadway/NYC theater pop culture news and features, and upcoming shows to get tickets to now. Sam and Andrew discuss Pipeline Off-Broadway, Drunk Shakespeare, Cost of Living, 2 shows at The Irish Rep, Angels in America in movie theaters, Lightning Thief cast recording, new casting for A Doll's House Part 2, and Indecent is not closing after all! Why we think you should get tickets now to: Prince of Broadway, Once On This Island, The Band's Visit, and A Clockwork Orange. YASBroadway! The YesBroadway Podcast: Designed to be listened to on a 25-30 minute subway ride, we discuss what shows to see, Broadway/NYC theater pop culture news and features, and upcoming shows to get tickets to now. Why we're obsessed with The Great Comet, 1984, Groundhog Day, Napoli, Brooklyn, and why we're torn on A Doll's House Part 2. Also, our Tonys reactions, Oh Hello on Netflix, and Falsettos in cinemas. We also discuss why we're excited to see the SpongeBob musical, Frozen, and Escape to Margaritaville. 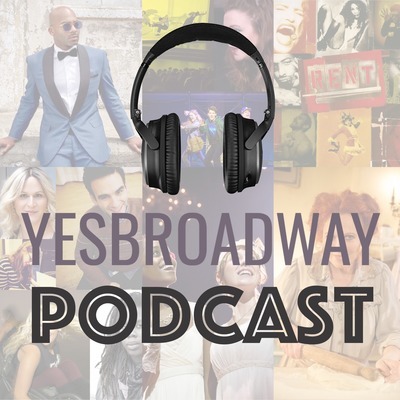 The YesBroadway Podcast: Designed to be listened to on a 25-30 minute subway ride, we discuss what shows to see, Broadway/NYC theater pop culture news and features, and upcoming shows to get tickets to now.